These bug and spider activities are both educational and fun! Teachers can help their young students develop an early interest in science and “bug life” by planning several interactive experiments and activities. Read on for suggestions on preschool science projects involving spiders, caterpillars, and other busy bugs. Let’s Go On A Bug Walk! Preschoolers can have the opportunity to find ants, ladybugs, potato bugs, beetles, and similar creatures when they go on a “bug walk” through a local park or playground area. The teacher can encourage students to look closely at plant leaves, rocks, and ground surfaces in the hopes of discovering bugs. In preparation for a bug walk, the preschool teacher can pack a bag containing a small notebook, pen or pencil, and several magnifying glasses. While on the walk, the teacher can write down information about each type of bug found and can allow the children to examine bugs up close. Is the bug eating anything? Is the bug sitting on a plant or a rock? After returning to the classroom, the teacher and students can discuss the written observations about each bug and can discuss the similarities and differences between the bugs found on the walk. The preschool children can then draw pictures of the bugs that they discovered. Another bug science experiment that preschoolers will enjoy is watching grass spiders spin webs. The teacher can set up a cage within the classroom and collect a few spiders as classroom “pets” that can be fed and cared for on a long-term basis. As the grass spiders start to spin webs within their cage, the preschool teacher and students can discuss how and why spiders make webs. The children can share observations on the size and appearance of the classroom spiders’ webs. Explain to the students the difference between a spider and an insect. 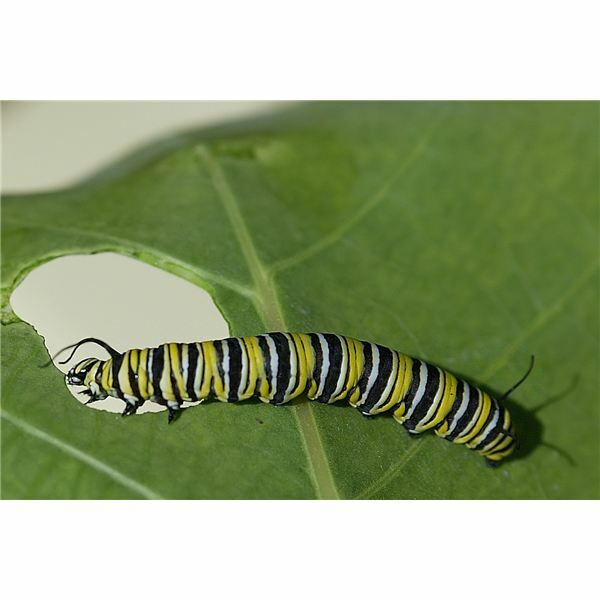 Preschool teachers can order all the materials necessary for raising caterpillars from the Live Butterfly Garden website. Students can watch as baby caterpillars grow larger, go into their pupae, and emerge as butterflies. This science experiment takes several weeks to complete, and all instructions given by the company must be followed carefully. After ordering one or more containers of baby caterpillars (with food included) and a pop-up tent (for the pupae and butterflies) from Live Butterfly Garden, the teacher can place the containers in the classroom and allow the students to observe the caterpillars each day. The children can watch as the caterpillars eat their food and grow. When the caterpillars enter the pupal stage, they can be transferred to the pop-up tent. The teacher can use this opportunity to tell preschool students about the process through which caterpillars turn into butterflies. Children can feed and care for the butterflies for several days after hatching takes place. With assistance from the teacher, the preschoolers can go outdoors and set the butterflies free on a warm day. These activities allow young students to become familiar with how several types of bugs look, how they function within various environments, and the ways in which they may change as they mature. Teachers can use these science activities to expand upon a preschool insect theme so that students can learn about other varieties of bugs.